As Israel’s Prime Minister Netanyahu calls for early elections, it’s difficult not to notice that the date he has chosen for voting—January 22nd, 2013—is quite close to the U.S. inauguration. But the relevant date is not January 20th, it is November 7th, 2012. 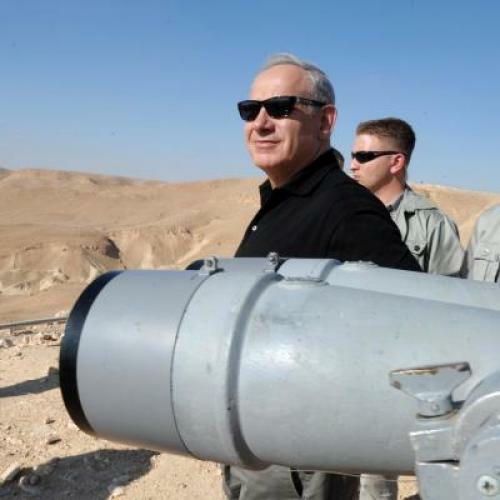 One feels that only once we know who the U.S. president will be into 2017 can the Israeli campaign truly begin. It has been said that Netanyahu could have an effect on the U.S. elections. But the reverse is true as well. Before going further, let’s establish that the U.S. presidential contest won’t affect who will get the most votes in Israel’s elections. That is foreordained: it’s Bibi. Polls show him with a commanding lead; Haaretz, for example, has him dominating even his strongest potential challenger, Kadima’s Tzipi Livni, who probably won’t run. (The one wild card is former Prime Minister Ehud Olmert, who is in between corruption trials yet still popular.) Put another way: Netanyahu would not call early elections if he weren’t going to win them. But what is unknown is how the other parties will do and which ones Netanyahu will seek to form a coalition with following re-election—an essential question, given that no party, not even the hyper-dominant Labor Party of the 1950s, has ever won the majority of Knesset seats by itself. And this is where the U.S. election could affect things. Flash to America for a second. The relations between the Israeli and American leaders are the worst they have been in at least two decades, arguably longer. No matter how much blame you apportion to Obama, you need to save plenty for Bibi, who in the past few months has made matters worse by all but openly campaigning for Mitt Romney. If Romney wins, Bibi’s in the catbird seat, and his bet on Romney, inapproriate though it was, may pay off. But if Obama does, then the prime minister has a problem. Many Israelis lack warm feelings for Obama, but many more understand the importance of their country’s special relationship with America. Thus, they were duly freaked out by the openness with which Netanyahu seemed to be rooting for one side, given the possibility that the other side might win; thus, it was correctly perceived as a domestic political move when Barak met with Chicago Mayor Rahm Emanuel, in effect an Obama administration official, to assure him of continued Israeli friendship, and did so behind Netanyahu’s back. Before creating his current government, Netanyahu offered to form a coalition with Livni’s Kadima, which actually received a few more Knesset seats in the 2009 elections. (By contrast, the unity government Netanyahu formed for a few months this year, when he welcomed Kadima in, still included the right-wing parties, substantially diluting the centrists’ influence.) Forming a center-right government in response to an Obama re-election would be entirely in keeping with his track record of flexibility in the pursuit of self-interest. And finally it is worth remembering that the U.S. election will not be the prime driver of Israeli elections—their politics are local, too. But it won’t be nothing. If a vote for Romney is in some small way a vote for the Israeli status quo, then a vote for Obama is a vote for encouraging a more liberal Israeli society.